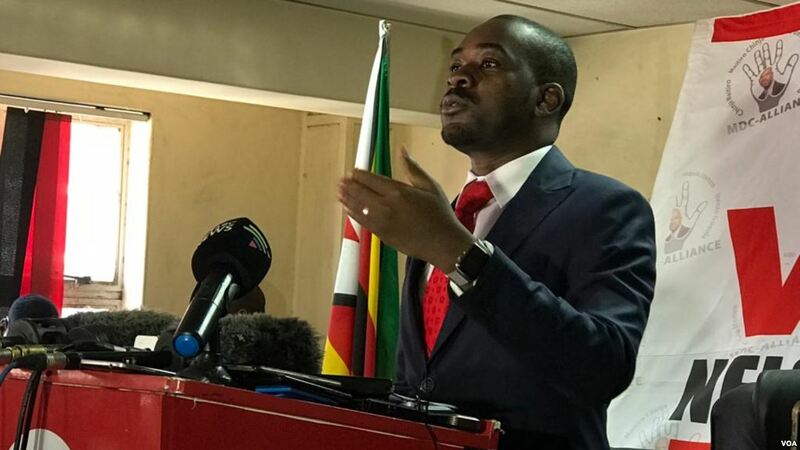 The leader of the Movement for Democratic Change (MDC) Nelson Chamisa believes dialogue is the solution for the economic and political problems Zimbabwe is facing. The 40 year old opposition president said, “for a nation to move forward the issues in the country must be addressed outside the borders of political parties. Last but not least the economic situation in the country must be addressed, our people are suffering, poverty knows no party, and poverty attacks both Zanu PF and MDC supporters, the stomach do not have a party card and we need to resolve those issues beyond the partisan approach” he explained. Chamisa further on dismissed the case that he wants to be in the inclusive government, “I have also noticed that there is a problem that people think I want to be in the inclusive government, far from it, we need a national transitional authority, that transitional authority is the one that is going to lay the framework to follow these steps so that we resolve these issues” he said. With much concern to moving forward, Nelson Chamisa articulated that the its high time people focus on national development and forget about elections, we can’t be talking about elections all the time we must be focusing on development and the economy and in order to do that we must be able to liberate our country from the vicious circle of politics.